The implicit manifestations of culture shock often go ignored. We stare each other down, both firm in our standing. I refuse to budge, and you feel the same way. I never signed up for such an encounter, the nature of which, it is true, I underestimated. After all, I had seen you many times on television, and as such had expected a level of comfort and easiness that is nowhere to be found. I contemplate walking away; not once, but at least a couple of times in the few minutes I stand before you. I have to admit, though, that I’m a little embarrassed at this point. We have also garnered quite an audience considering I’ve been stalling those similarly here to make your acquaintance. I’m trying to figure out my options; how to walk away with my integrity whole. Besides, I could really use that bottle of water. So, for the umpteenth time, I push a couple of buttons and smooth my dollar bills, all to no avail, before I decide to exit the arena. 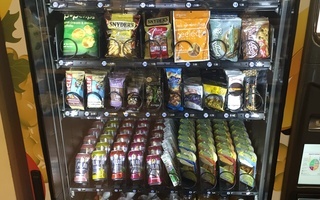 Who knew vending machines could be such a challenge? I see the guy behind me wanting to help, but I guess to assume that I am unable to work the vending machine is ludicrous even to him, which explains his hesitance. Meanwhile, I never anticipated the profusion of buttons. Maybe it wasn’t my fault. I’d like to think it was just that particular vending machine. But, still, I’ll never know: I’ve systematically avoided all vending machines since. I’m often asked if the culture shock is real. Given that we live in an increasingly globalized world, I have a hard time understanding what that statement really means. When we think of culture shock, we think of socially awkward encounters, and not being the most politically correct person in the room. Even though I always answer in the negative, lately I’ve been wondering if all internationals temporarily face bouts of culture shock, especially since it can manifest itself in the most unexpected of ways. Another one of my foreign friends shared a similar anecdote with me as we were laughing over a dining hall meal that we equally don't understand. (Waffles and chicken? Really?). Once, volunteering at the homeless shelter for the first time, she was tasked with washing the dishes—in a dishwasher. The only issue being that she didn’t quite know how to use it. Her pleas for help were met with the snarkiest of looks and she couldn't understand why. Later, to her dismay, she realized that it must have seemed like she had grown up in the lap of luxury, never having had to wash a plate in her life, when, in actuality, she had simply never seen a dishwasher before. It’s true that incidents like these are not what come to our mind when we think of culture shock, but it is definitely one incident that highlights the phenomenon. On yet another occasion, while I was working at Widener, a lost patron asks me for directions to Pusey, but hesitates when I point him in the direction of the elevator. When I offer to go in his stead, he laughs and confides in me that he’s never been in one. “Ah, an international,” my heart sings. Elevators were his vending machines apparently. My first reaction is obviously that of the guy standing behind me at the vending machine; who hasn’t been in an elevator? “But, elevators? How?” I wanted to say. I got swallowed into taking things for granted too. I repress the words just as they are about to escape my mouth, and, instead, I laugh with him and give the reassurance that he is not alone in his experiences. We, fluent in the ways of our developing countries and their language of manual operation, shared in common our aloofness to staples of the modern world. We, bred amongst the bumpy roads and now accustomed to jolt-free rides, were similarly awestruck by the land of America and its ways. In some aspects, it bothers me to admit the merits of this new place, for it implies that the homeland lacks somehow. “What’s America like?” I’m asked back home. At times, I respond like a biased parent, willing to overlook my school and its country’s evident advantages and developed-ness in favor of the developing world I love so dearly. “It’s all right,” I shrug, prohibiting myself from forming preferences that do not all tilt in one direction. Other occasions, I’m willing to criticize the institution: I’m the child who finally sees that her parents aren’t superheroes but loves them all the more for it. I embrace home for its electricity cuts in the scorching summer. I long for the sight of unkempt roads. I feel like my friends and I are constantly trying to be more like that child everyday; we’re allowing ourselves to belong elsewhere, beyond our home countries, and not feel guilty about it. To refer to homes more than one, and not feel a sense of betrayal. And, most importantly, to admit that the new may have merits over the old. 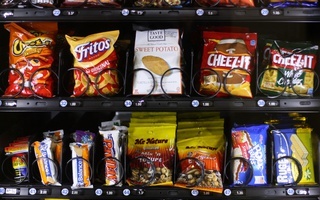 So what if we don't come from a world of vending machines and dishwashers? Even though our worlds sometimes collide, and technological advancement is a little too fast-paced for our liking, we’re glad that we’re able to belong to places more than one, and, perhaps, the best part is that they look nothing like. Zuneera Shah, ’19 lives in Eliot House. Her column usually appears on alternate Wednesdays.